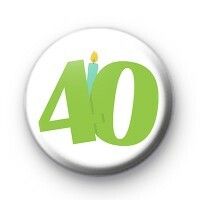 Is someone you know celebrating turning the big 40? You 100% need to get them a badge. No birthday is complete without a pin badge.